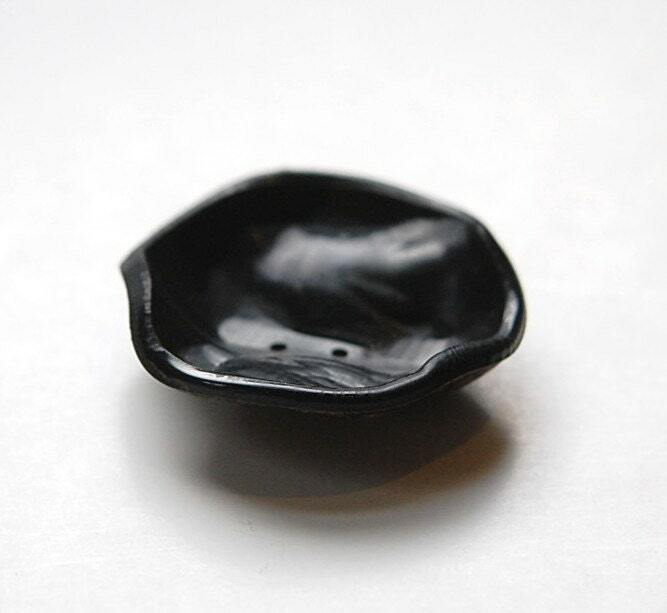 This is a large black button made from some type of plastic. It has a domed wavy free form shape. 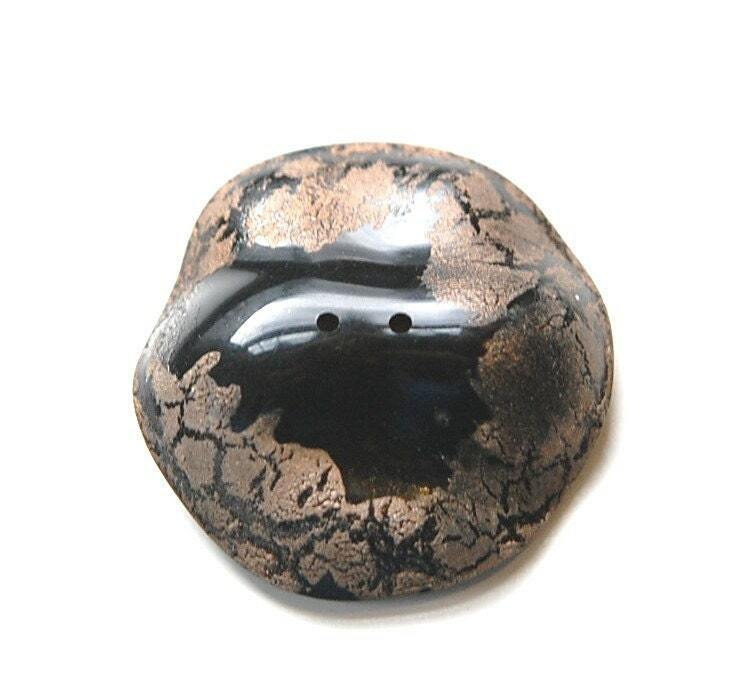 It is edged with a bronze gold crackle like application. This measures 45mm, 1 3/4" across. You will receive one button. I have this in a smaller size and another color. shipped immediately, just as described.